Here's the cliff notes version of a legacy that spans decades. It’s only taken 21 movies for a woman to spearhead a Marvel Cinematic Universe blockbuster, but better late than never, right? Given Captain Marvel’s long-term association with The Avengers, her own cinematic outing was bound to happen eventually. The name Captain Marvel wasn’t really mentioned in the MCU until Avengers: Infinity War, so some viewers might not be familiar with the relationship between her and Earth’s Mightiest Heroes. With this in mind, I’ve prepared a quick rundown for anyone who wants to brush up on their history prior to entering this year’s big Marvel releases. On top of that, we’ll also look at a few possible theories pertaining to how the character’s inclusion in the MCU will alter its course as the franchise enters Phase 4. For this exercise, I’ll only be discussing Marvel’s Captain Marvel characters. The Fawcett Comics character of the same name who later became DC’s Shazam! is another article for another day. Anyway, Captain Marvel debuted in the pages of Marvel Super-Heroes #12 in 1967. Back then, though, the character was a male Kree soldier named Mar-Vell, who’d been sent to Earth to observe humankind only to end up defending them from evil threats, including his alien brethren. Over the years, a number of people assumed the Captain Marvel moniker. However, none of them really captured the imagination of comics readers until Carol Danvers adopted the mantle — but that didn’t happen overnight. We’ll get to that later. Danvers first appeared in 1968’s Marvel Super-Heroes #13 as a colleague of Mar-Vell. She was a United States Air Force officer, but the character was given a revamp in 1977 as Marvel sought to create more feminist heroes and move with the times. Thus, she became the first Ms. Marvel, a human-Kree hybrid after an explosion fused her DNA with Mar-Vell’s and bestowed her with extraordinary abilities. Throughout the years, other female characters have adopted the Ms. Marvel alias. As for Danvers, she took on a couple of names before eventually settling on Captain Marvel in 2012. Danvers’ history with the Avengers can be traced back to the 1970s. She spent a few years associated with the group until she was kidnapped, brainwashed, impregnated, and taken to an alternate dimension by the supervillain Marcus. The storyline was highly controversial, with some critics arguing that it was sexist and went against the character’s feminist origins. Upon returning to the regular world, she was nearly killed by Rogue, who took her powers. After gaining new abilities, she took the name Binary and became affiliated with the X-Men for most of the 1980s. Kurt Busiek and George Perez‘s 1998 Avengers series saw Danvers rejoin Earth’s Mightiest Heroes after helping them defeat Morgan Le Fey. She beat out stiff competition from other superheroes to become a permanent member of the team and started going by the name of Warbird as a tribute to the planes she loved growing up. Unfortunately, she experienced an array of personal problems during this time and wasn’t reliable. Her powers weren’t up to speed, which forced her to quit the team before they fired her. Of course, she eventually redeemed herself and helped the heroes defeat some big threats until the series came to an end. In the 2000s, Warbird played a key role in the Kang Dynasty series, which saw the Avengers take on the titular warlord, who arrived on Earth with his son Marcus to take over the world. She played a key role in helping the team overcome Kang by obtaining some technology that was needed to defeat him. The group disbanded shortly afterward in 2004’s Avengers Disassembled, and Captain America and Iron Man went on to form the New Avengers, which didn’t include Danvers. Her first iteration as Captain Marvel was in 2005’s House of M, though she only existed as the alias in a false reality created by Scarlet Witch. 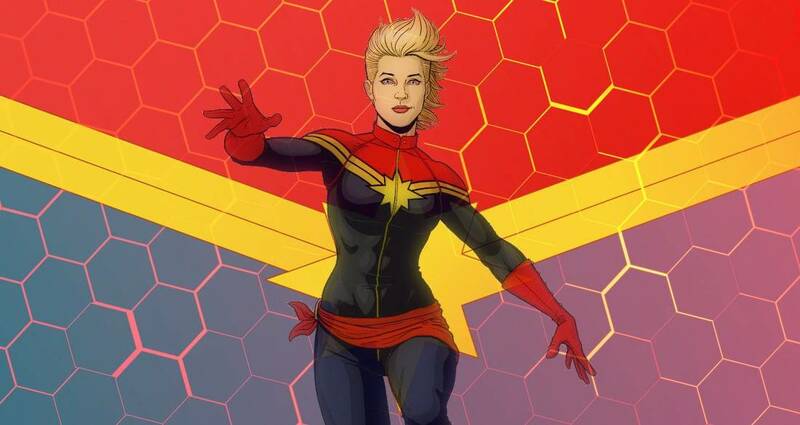 This led to her returning to her Ms. Marvel mantle, which she kept until writer Kelly Sue DeConnick gave her the Captain Marvel gimmick in her 2012 comics run. In 2007, she found her way back into the Avengers fold when she teamed up with Iron Man as part of the Mighty Avengers following the events of the Civil War storyline. After Secret Invasion, however, she joined the New Avengers and eventually became their second-in-command. Throughout the rest of the decade, her prominence in the comics made her one of Marvel’s most important characters. The 2010s saw Danvers become an integral member of the main Avengers team. By and large, she’s been associated with them on a regular basis since the mid-2000s, but as you can see, her history with the superteam goes way back. That said, it’s about time she joined the gang in the Marvel Cinematic Universe. While Captain Marvel’s powers will be key to defeating Thanos in Avengers: Endgame, many believe that the character’s main purpose in the MCU is to set up a Secret Invasion adaptation. It seems like the next logical step as well based on the evidence that’s been presented to us. In that story, an alien race known as the Skrulls use their abilities to infiltrate human society in a bid to take over the world under everyone’s nose. Talos, the main villain in the Captain Marvel movie, is a Skrull, so the signs are there that the aliens may have landed in their masses and are simply biding their time. In the meantime, she and the other Avengers have that meddling Thanos and his pesky Infinity Gauntlet to worry about. Therefore, Captain Marvel’s attention will be focused elsewhere. In the comics, she’s one of Marvel’s strongest heroes. To defeat Thanos, the gang might need a powerful artifact like the Gauntlet, such as the M’Kraan Crystal or the Cosmic Cube. If anyone can access such devices to defeat the problematic purple alien, it’s Captain Marvel. We also know that she’s going be a formidable force in the MCU. In an interview with Vulture, Marvel Studios head Kevin Feige confirmed that “her powers are off the charts.” Don’t expect some watered down version of this mighty warrior. Whether or not Captain Marvel is the one who ultimately takes Thanos down remains to be seen, but she’s probably going to be the key difference maker when it comes to weakening him and ending his dominance. When that’s all said and done, maybe — just maybe — she’ll bring the X-Men into the MCU at some point as well. Now that’s a nice dream to have.